I never thought I’d see the day that I received a PR sample of a foundation that costs seventy five pounds. By Terry is a brand that I’d not tried before, purely because the products are way out of my budget, but I have spent many a Space NK visit quietly admiring the range and pretending like I’m not horribly working class. 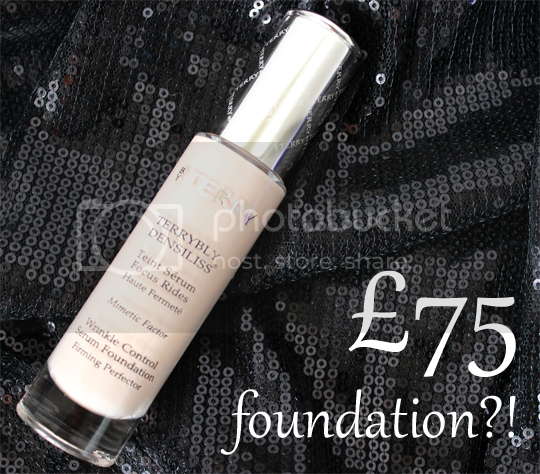 To review this foundation, I have to try and pointedly ignore just how much By Terry Terrybly Densiliss* costs! By Terry Terrybly Densiliss is a colour cosmetic and skincare fusion, combining a high coverage fluid foundation with a powerful anti-ageing serum. This does of course mean that it is targeted to a demographic quite considerably older than my 22 years, and I am unable to vouch for any immediate or long-term anti-ageing benefits. What I can tell you though, is that Terrybly Densiliss looks absolutely incredible on the skin. Despite having such a full coverage, it just glides onto the skin and conforms to all the little contours and crevices of the face with barely any blending required. It is doubtful that you’d need more than a light application of this to cover any flaws, but if you did want to build it up for any reason the formula will not cake. I am usually a sponge advocate when it comes to applying foundation, but with the simply Terryfying price (see what I did there?!) of this I can’t bring myself to waste product by letting it soak into a sponge. I’ve been using a Real Techniques Buffing Brush or Expert Face Brush in conjunction with this, and I just can’t get over how much I love the results. I wouldn’t want to ruin the skin-like semi-matte finish by clogging it up with powder, so a quick spritz of setting spray sets me up for the day, and applying over a long-wear primer such as Benefit Stay Flawless helps even more with the longevity. 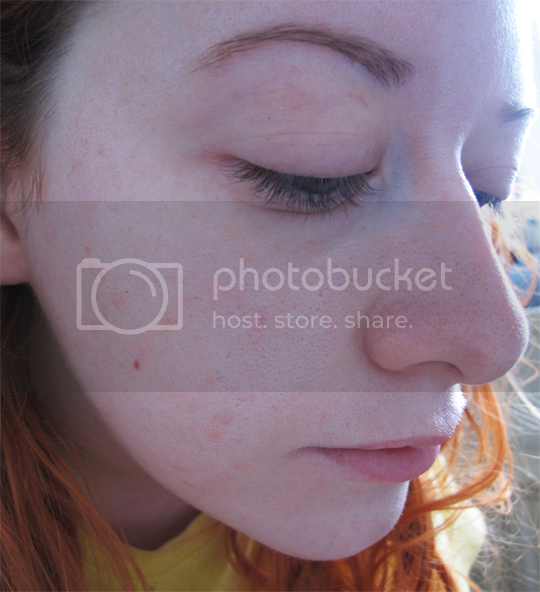 One of my most frequent annoyances with any foundation is their tendency to exacerbate any dry bits on the face. Terrybly Densiliss might well be the only foundation I’ve ever, ever tried that doesn’t do this at all. I would imagine that’s down to the serum in the formula, along with the fact that it’s aimed at older skins than mine which are typically drier. Now, I have very oily skin so while this is obviously not aimed at me, I find the wear to be really quite impressive. My T-zone does become very shiny by lunchtime, but that’s nothing a quick blot doesn’t sort out and my foundation is still looking good when I get home in the evening. If my day is longer than usual, by which I’m talking about spending more than 12 hours of the house, it can start to fade a little. Below is the before and after. So… as much as I like wearing this, I can’t ignore the fact that it costs only a few pounds less than my monthly council tax bill. It costs about the same as two weeks’ worth of food shopping for me and Colin. It costs the same as 3 months of my phone bill. It costs a few pounds more than my annual Netflix subscription. It costs more than my Christmas decoration budget for our flat. It costs almost as much as a lovely pair of Nike trainers I bought the other week which I really needed to invest in but still winced when I handed over my debit card. At the end of the day, Terrybly Densiliss is Terrybly Expensive and costs far too much for me to justify a repurchase. But that’s only my budget and lifestyle. If you can afford it, good for you and go for it. However, I would recommend much more for mature skins than young and oily ones like mine. It’s also important to bear in mind that the target demographic of more mature women is far more likely to have that sort of money to burn on a foundation. For its intended market, this product isn’t unfairly priced for the appearance and results it gives. By Terry Terrybly Densiliss costs £75 (have I mentioned that already?! ), comes in 10 shades – I am the lightest, obviously! – and is exclusive to Space NK. This foundation looks lovely on you! This would be well over $100 in Canada and I agree way to expensive for my budget. Thanks for an amazingly honest review! Wow…zers. You have me converted!!!! 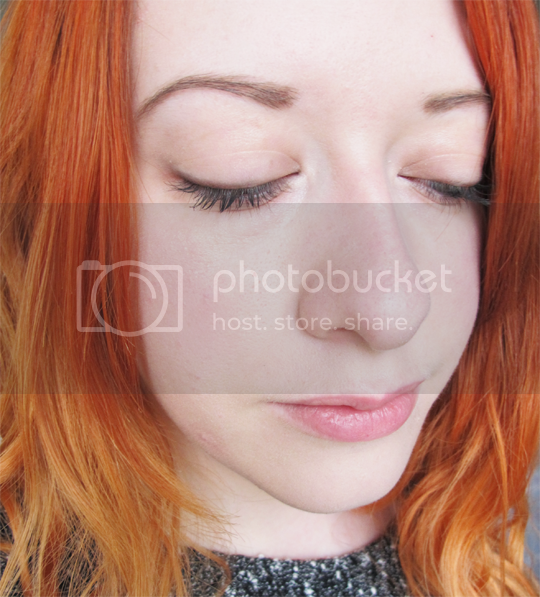 Hello, fellow redhead here in search of lovely pale foundation, which shade number is this please?